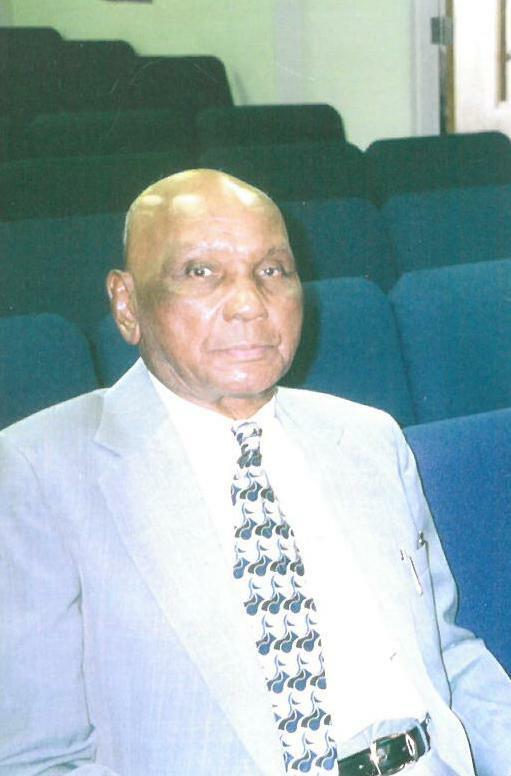 Nathaniel Stokes Jr. Age 98 of Gahanna, Ohio passed away at home January 18, 2019 U.S Army veteran WWII. He was born July 7, 1920 in Blackstone, VA.
Nathaniel is preceded in death by parents Nathaniel and Lessie Stokes, son Nathaniel “Butch” Stokes III, brothers Thomas, and Lewis Land, sister Ruth Stokes, and granddaughter Heidi GloverHart Malone. He leaves to cherish his memory; daughters Sandra (Paul) Glover, and Shirley Stokes, 6 grandchildren, 16 great grandchildren, and a host of nieces, nephews, and other relatives and friends. Visitation 10:00am and Funeral 11:00am Monday, January 28, 2019 at MARLAN J. GARY FUNERAL HOME, THE CHAPEL OF PEACE NORTH, 2500 Cleveland Ave.
prayers ease the pain of this loss. With caring thoughts. Love your heart, Mr. Stokes or if you knew him well, Brother Stokes. I’ve thought about you often since I read your retirement proclamation from the county years ago. You were a very good man and heaven has gained a very good angel. Thank you for all of your wisdom. My heartfelt condolences to the Stokes families. To the Stokes family. My heart is with you and your family at this time of your loss. There is comfort in knowing God’s promises about the resurrection hope. (Acts 24:15) and (John 5:28,29) In the past God has resurrected humans and He is eager to do it again because He hates death. (Mark 5:41-43) To learn more about God’s promises go to JW.ORG. There are online Bible lessons featured and more. Love Your Neighbor Irish J. Richardson. I’m sending my sincere condolences to the Stokes family and friends. This is one of life’s greatest challenges that we have to face. Jesus said, did, and promised something that gives us comfort and hope. In the Bible at John 11:11-14, Jesus likened death to sleep. This comfort us in two ways: 1) we are assured by those words that our loved ones are not suffering or in pain. 2) If a person is just sleeping, he will wake up! Notice what Jesus does next at John 11:43-44, this is amazing! If you would like to know more details about this, please download a free copy of the brochure Good News from God @ Jw.org and read lesson 6 along with the Bible. God Bless/RIP. A heartfelt Thank YOU, Nathaniel for your service in WWII. The USA would NOT be as it is today. I treasure the freedoms for which YOU fought. “YOU ARE ONE OF” The Greatest Generation……. And Semper Fi. Sooldier.